Santa’s Summer Workshop Pattern Sale! Kickstart your Christmas gift making NOW. This is a great time of the year to sit down at your sewing machine and make some awesome, heartfelt Christmas gifts. 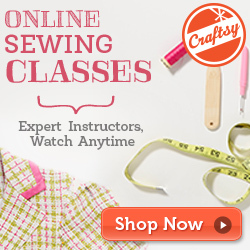 Don’t wait until you are crazy busy with so many other holiday events to sew. Take advantage of this awesome sale and stock up on some really fun patterns. Here are just a few of the patterns you will find in my Etsy shop. Many of my patterns use repurposed wool sweaters to make slippers, mittens, bunnies, hats, balls, hand warmers and much more. Cozy flannel, fleece and cotton prints are also used to create other UNIQUE and USEFUL items . For a limited time, I am offering ALL of my patterns for half the price. Choose any 4 patterns for only $12.00. Just go to my Fibers & Twigs Etsy shop and click on the Santa’s Workshop Bundle. After purchasing the bundle you will receive an email with your download page where you can scroll through all my patterns and choose any four. Download the patterns right there. I encourage you to save the files so you can have them forever. Buy as many bundles as you want. So get out your sweater stash, your sewing machine and set a little time aside for a Santa’ Summer Workshop. If you have any questions, just shoot me note.